We are in contact with water every day, and humans will die when we leave the water. But do you know that the quality of water quality will affect the health of family members directly? Add water filter cartridges to your family that it will let your family drink healthier water. It is recommended that each household add a water filters to their private water supply system to remove harmful substances in the water, including bacteria and sediment. There are many types of water filters for your family, such as refrigerator water filter, coffee water filter, tap water filter, shower filter, swimming pool filter. A water filter cartridge can be added to almost every water supply system. How do water filter cartridges work? Water filter cartridges are as physical barrier to block or trap debris in the water. Buy the right filter. If your private water supply equipment already has a water purifier, then you only need to buy a filter compatible with it. 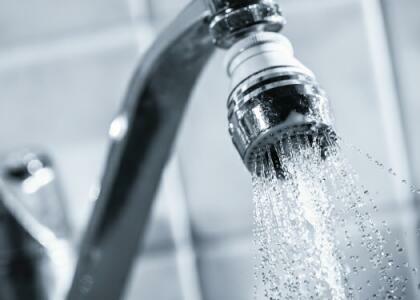 However, water supply systems such as taps and shower need to be equipped with water purification. The RO system for home is currently a relatively good water purification equipment, widely installed in the water supply system of the tap. The RO system consists of pre-filter, RO membrane and post-filter. They block or trap different debris in the water. The water through the RO system is cleaner and tastes better. Can the water filter remove pigments and odors from the water? The activated carbon in the water filter cartridges can remove the pigment and odor in the water; whether they are naturally carried or caused by a disinfection process. Can the water filter remove bacteria? Some filter cartridges are designed to remove bacteria from the water, such as the RO system. Can the water filter remove pesticide residues from the water? Some water filters can effectively remove pesticide residues from the water. Why should you change the water filter regularly? 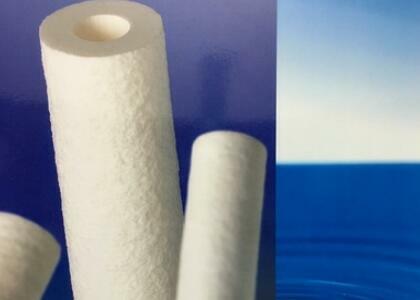 The water filter cartridge block or trap debris in the water that are present on the surface of the filter. After a long time, these substances will breed bacteria and cause secondary pollution to water. In general, the replacement time of the filter is 6-12 months. Will a water filter soften hard water? Some water filter cartridges will soften hard water, usually adding the filter to the shower, which will give softer, cleaner skin and hair. How much do water filters cost? Different private water supply systems in the home are not the same as the price of the water filter cartridge that compatible with it. The price of installing an RO system for a tap is relatively expensive, but it may be cheaper to buy a replacement filter. Are there wholesale supply of household water filter cartridges? As the largest manufacturer of water filters in China, Yuanda provides wholesale filters.Customized is welcome for all models and sizes.